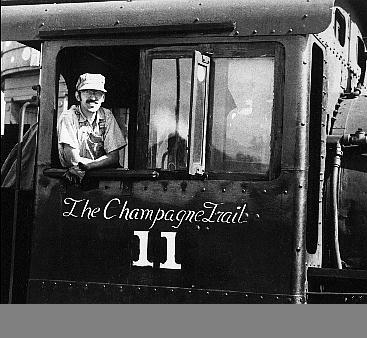 The Rail City Museum was created in the 1950's by Dr. Stanley Groman of Syracuse, NY. Located on the shore of Lake Ontario at Sandy Pond, NY, it was originally envisioned as a narrow gauge railroad and western town, typical of 1950's tourist attraction design. However, the line ended up standard gauge. 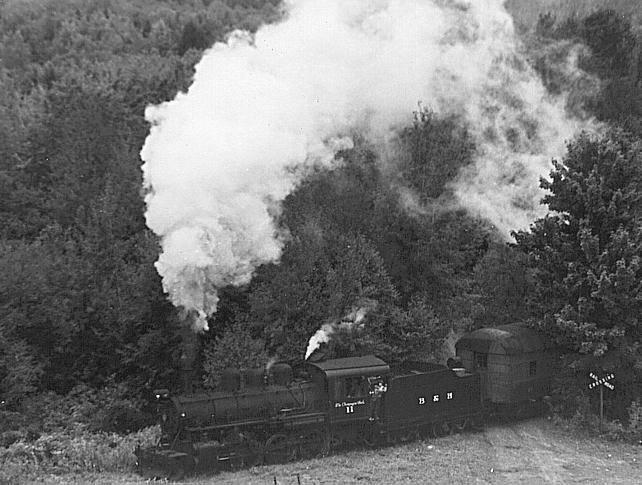 Equipment came from the Huntingdon & Broad Top Mountain, the PRR, NYC, Bath & Hammondsport and even a coal mine in New Mexico. I was privileged to be part of the Rail City crew in its last years, from 1971 thru 1974 and did everything from conductor to engineer to relaying 300' of rail in the curve at the runway crossing. The 1 1/2 mile loop track consisted of a steep downgrade out of the station to Red Rock Springs, then a slight upgrade to the road crossing before the enginehouse and another stiff grade up from the enginehouse to the runway of Doc's air strip which was in the middle of the loop. Trains ran counterclockwise when I was there. We seldom had a fireman so the engineer did it all. 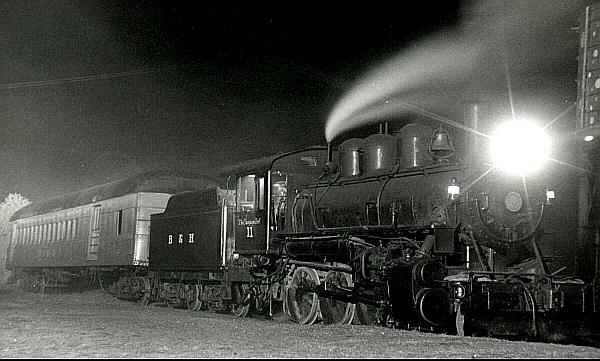 My favorite night shot of #11 taken at one of the Rail City Field Days weekends, probably 1972. Hear #11 Whistling for the Crossing! 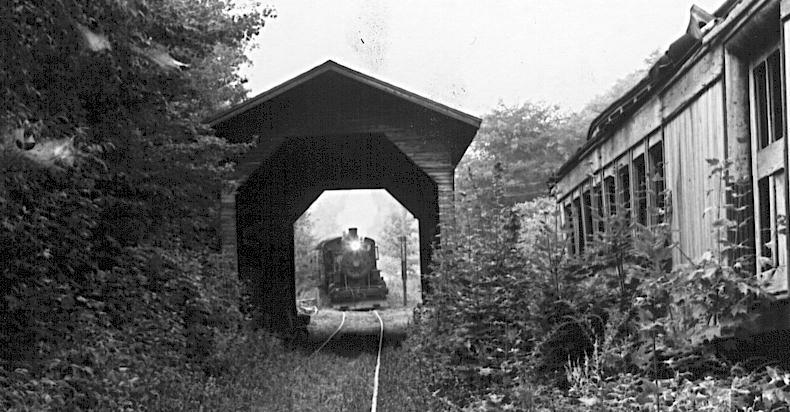 Bath & Hammondsport #11 crosses the road to the lake as it heads upgrade to the enginehouse, also known as the Moffat Tunnel, in 1973. This view was taken from atop the water tower. #11 running light, approaching the enginehouse. To right, Grasse River Railroad combine. Fred Scholl photo.